Posted on September 26, 2017 at 9:37 am. 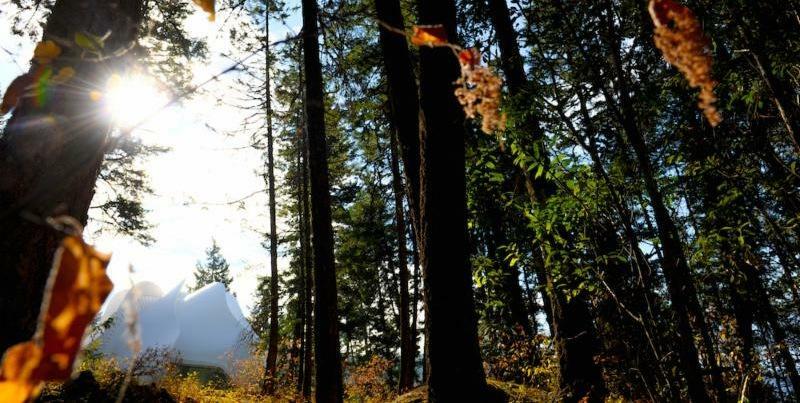 Here at Yasodhara Ashram, we are expressing our devotion through completing the Temple of Light. We are so close to fully occupying this graceful space and we are so full of gratitude for all who contributed. I think of this new Temple as carrying forward Swami Radha’s incredible vision of a world elevated by harmony and understanding. Come and experience it! 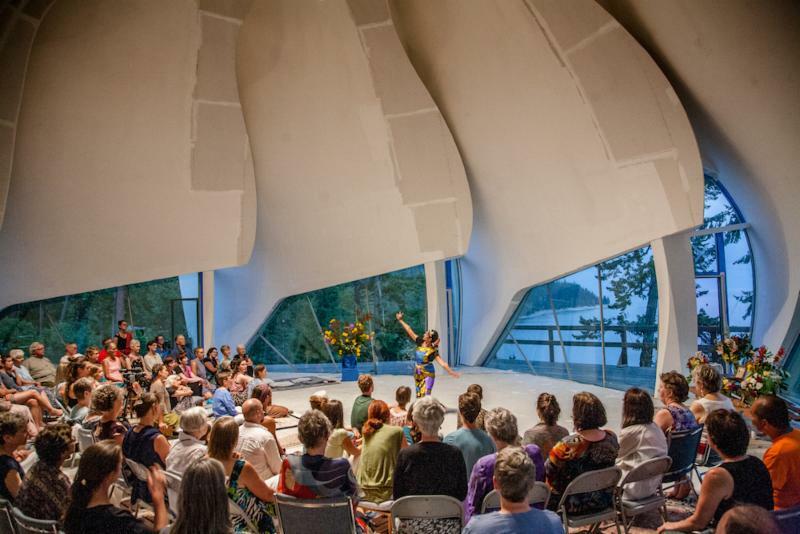 In this newsletter I am inspired by hearing how others express their passion – through dance, art, work and learning, and through offering back all they have learned. This is a renewing cycle – to receive, to practice and then to give back in fullness. Thank you to all who face your challenges and offer your particular expression as a powerful positive force. Manifesting what is most beautifully you, in whatever form, is the essence of the Temple. Being together in this fullness, we weave the invisible into the tangible. We start to create the world we want to live in. May everything we do be taken as thy worship, O Divine Mother. Give yourself ten days to expand your understanding of who you are and who you want to be – ten days reprieve from stress in a safe and nurturing place of reflection. For students of all levels, this course offers practices that support your personal and spiritual development. You will leave with tools to create more meaning, joy and relaxation in your life and with more trust in your ability to live a balanced life. We live in a world of fast-paced, continual change – processing endless input and meeting demands for flexibility and quick decisions. Yogic practices are designed to bring us back to our ‘grounding,’ to stillness and to connection to purpose. Join us for a breath, relaxation, visualisation and reflection – a time of returning to centre. The Yoga Development Course (YDC) is an intensive three-month program designed to expand awareness through personal and spiritual development. The YDC offers powerful tools for transforming and enhancing life. With the Temple of Light nearing completion, this YDC group will be the first to access the new Temple for satsangs and special workshops. Join us and be part of warming this sacred space with mantra and Light. Personal Retreats, Artist and Professional Renewal Retreats and Karma Yoga are available year-round. Take a look inside the Temple of Light. Click here to watch Swami Lalitananda describe its current state of construction. Thank you to everyone for participating in our Temple Celebration Festival. Click here to see the highlights from photos sent in by festival participants. See photos of the entire Celebration here. Shakti Dance in Vancouver. Anusha has danced and offered workshops at the Ashram since 2013. Invited to dance in the Temple during this year’s Celebration Festival, Anusha reflects on the experience and her history with this dance form. Bharata Natyam is a form of dance with ancient roots in the temples of South India. My own history with it began while I was studying at university. I saw a video of Bharata Natyam in a class called Images of the Feminine in Hinduism and Buddhism. Though I had never danced before, something resonated within me. There was a feeling of recognition of something familiar and I remember thinking, “I could do that.” Then I was extremely lucky to find premier teachers, even though I knew nothing of the form. Last year I’d been invited to offer a performance for this summer and preparing the repertoire was a lifeline for me. I’ve had a difficult year with the tragic death of my brother. I felt very strongly about maintaining this commitment. Returning to a practice in challenging times is a valuable gift. Just before coming to the Celebration I had a long retreat at a Zen Monastary I go to three to four times a year. Being a Zen Buddhist and a dancer, I’m interested in the connection between movement and stillness. I would sit in meditation for long periods and then go to a hut on the grounds to move through the repertoire. My main practice is exploring those opposites and the inseparable connection between the mind and body. I feel like everyone can get something out of this form. Bharata Natyam has never been a form of entertainment. The ancient devadasis in the temples weren’t dancing for other people to watch. It was an embodied version of their relationship with the Divine. Even when it became a form that was put on stages, it’s still never simply been a form of entertainment. Dancing at the Ashram, and especially in the Temple, is wonderful. Dance is an expression of sourcing what is around you and being in a place like this is an extremely inspiring opportunity. It felt very healing to be here on so many levels. The Celebration Festival lifted me. There were so many moments I thought, “I’ll never forget this.” I was very moved and uplifted. I think everybody felt that. Graphs and charts line the walls of the Karma Yoga office giving a tangible picture of who will be at the Ashram and what the work will be in the coming months. 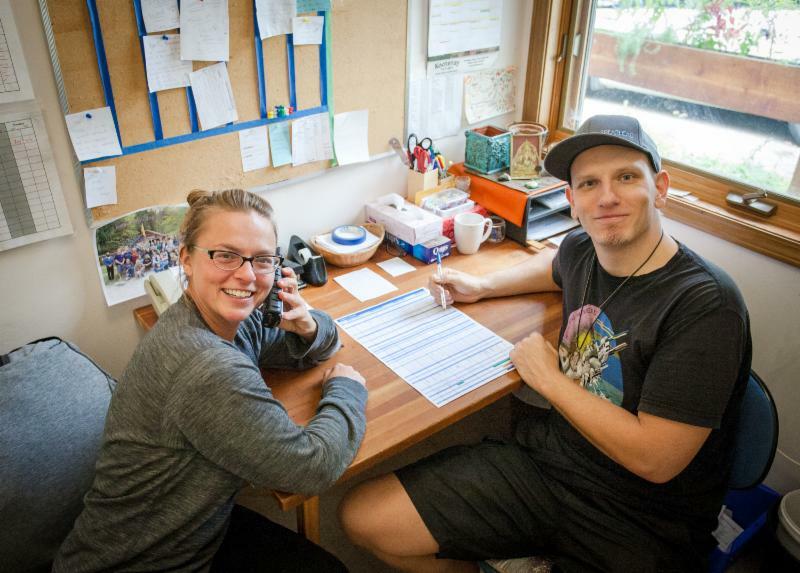 Kim Olson and Andrej Galic are the new Karma Yoga coordinators, revitalizing the organization of work at Yasodhara. Join Swamis Matananda and Satyananda on their Eastern Canada Tour for workshops to nurture inner and outer peace. 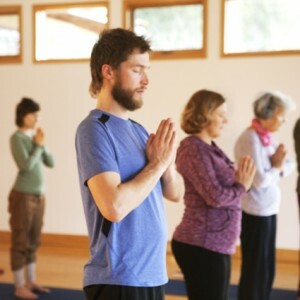 Come to experience yoga as a unifying path in today’s world! 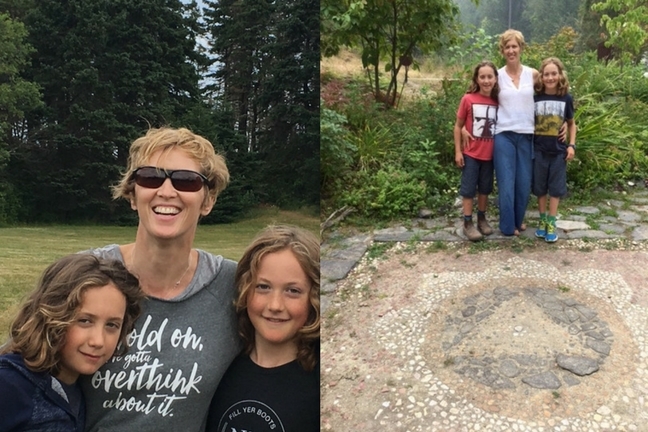 The power of intention led a mother-son team to Yasodhara Ashram for a month-long stay that fulfilled them and inspired our community. Rose De Oliviera and Eric Kohlfurst share how Eric’s artwork was a key element to their Ashram experience. “If I truly want to do something, I put the intention out there. I watch for signs,” says Rose. “We read Radha: Diary of a Woman’s Search last May and wanted to go to the Ashram. Shortly after, a friend told me about Yasodhara Outreach workshops in Toronto. This was my first sign. “All the while Eric had been painting for three years,” Rose explains. 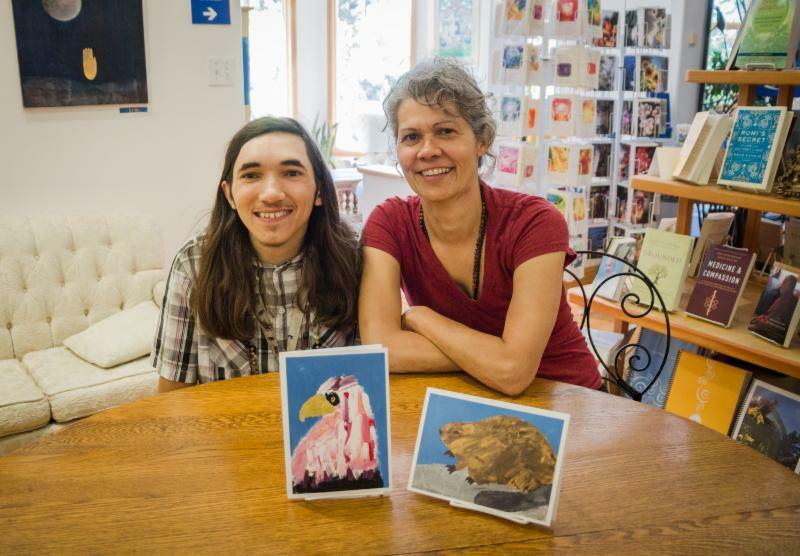 “When we signed him up with a private artist in Georgetown this year, she encouraged him to exhibit in the café and the cultural centre. His paintings ended up in many galleries around the greater Toronto area. His followers on Instagram grew. We decided to create cards for people who couldn’t afford his original paintings. We soon had to reprint. Eric, 24, speaks very little to people other than his mother. Yet when asked what he most enjoys about the Ashram, he quietly says “chant” then “painting in the Library.” He reads there too; it is one of his favourite spots. What does he like about the Library? “Radha” – reading her books and listening to tapes. He also learned to play Om Krishna Guru on the harmonium, encouraged by one of this year’s Yoga Development Course participants. Rose was led to yoga by Eric. “He is my teacher,” she says. Eric’s greeting cards quickly sold out at the Ashram Gift Store – a donation to support the Temple construction. Follow him on Instagram. 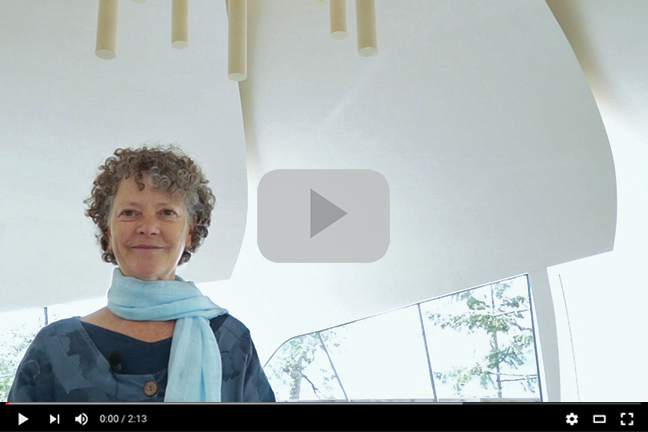 Kimberly Groome first came to the Ashram in 2016 for a weekend course and knew that she wanted to return. She’s been back in the Young Adult Program since January 2107 and has plans to take the 2018 Yoga Development Course. An integral member of the kitchen team, she also takes photos for the karma yoga Instagram account @yasodharakarmayoga. Karma Yoga has given me a sense of confidence. 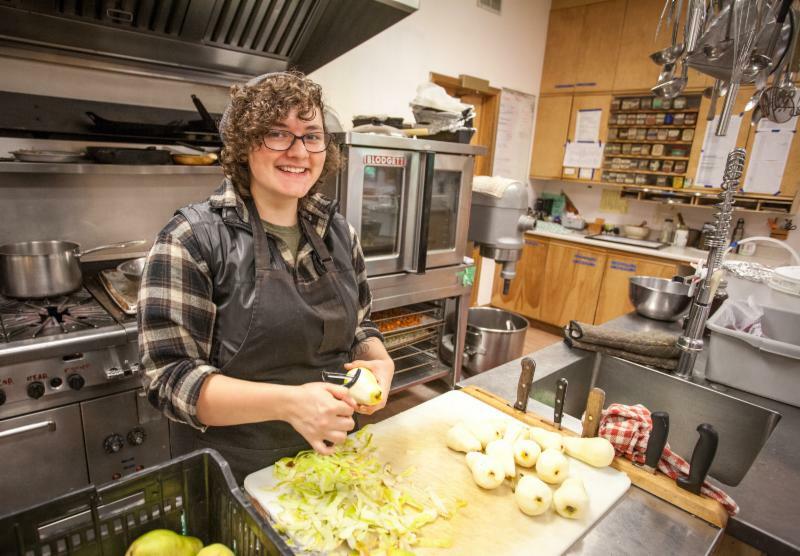 I’ve volunteered in other capacities in other places for years, but only after coming to Yasodhara Ashram have I had the courage to step into more leadership positions. Before coming here I worked in a bakery and opened a small cake decorating business, which I loved. Yet when I had the opportunity to work in the kitchen at the Ashram I didn’t think I could do it. I remember making a Waldorf salad and thinking, This is going to be the worst Waldorf salad ever. People aren’t going to eat it. After the meal, Steve, the chef, said it was the best he’d ever tasted and that I have to come back and work in the kitchen. Everyone loved it and I still get asked to make it. I’m a visual artist and had taken photography courses a few years ago. I wanted to go into food photography but didn’t think I was good enough. Now I’m taking pictures for the Ashram’s Karma Yoga Instagram account, especially food photos since I’m often in the kitchen. Instagram has rekindled my love of photography. I feel like it’s a puzzle piece that was missing. I have food and baking experience and an artistic eye for putting things together. I just needed a way to bridge them, and photography is the way. Working in the kitchen has opened so many doors for me. I know this kind of work is what I want to do with my life. I used to feel like I was just grasping at straws, trying to create a future for myself. Now I actually have something that could become real. I’m also excited to do the YDC in January and to give back as a Yasodhara teacher. With fall in the air, the Ashram is beginning to schedule its programming for 2018 and beyond. Other exciting news is that we are also in the planning phase for a new website. Please take 5 minutes to complete an online survey. Your responses will help the Ashram better serve you with our programs and website. Francesca Cogorno first came to the Ashram in 2010 and recently moved to Nelson after a five-year residency here. 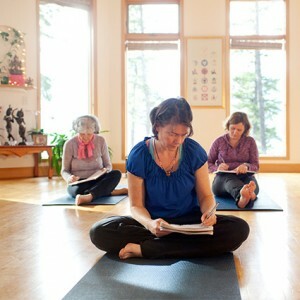 A fully trained Yasodhara teacher, she was involved in many aspects of day-to-day life at the Ashram. 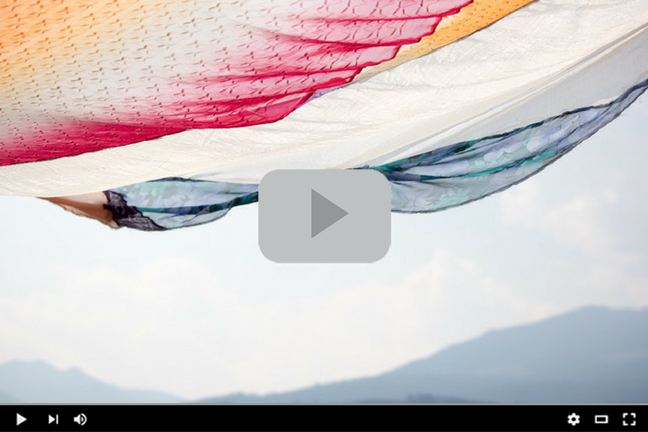 She explains how the practice of Sacred Dance has informed her growth and what Karma Yoga has taught her. Being at the Ashram transformed my ability to practice self-discipline. I’ve had some challenging times in the past five years. My father passed away and the Temple fire was shortly after. I’ve learned to keep lifting and use life’s circumstances as a way to appreciate what is there rather than try to find something else. Sacred dance has become a very important practice for me. My mantra practice showed me that showing up regularly, bringing myself forward, and watching the practice expand is transformational. The same is true for Sacred Dance, karma yoga and any practice. 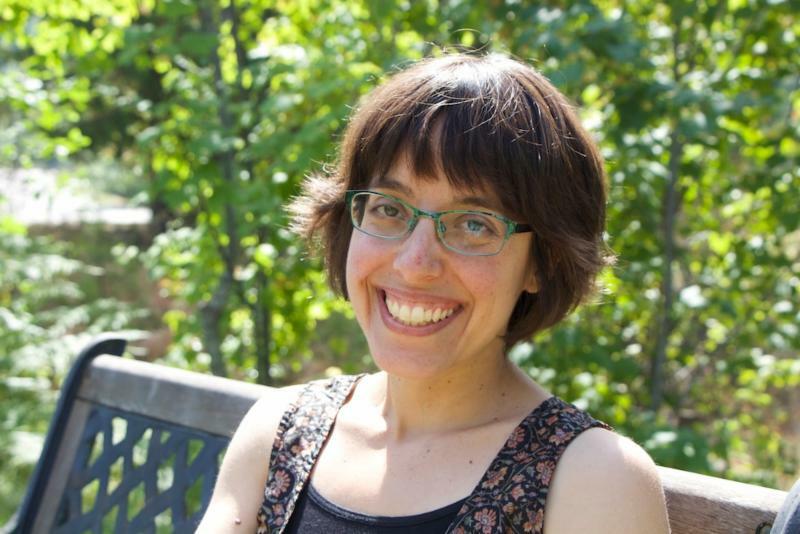 Rachel Johnston participated in the early days of the Youth Program (now the Young Adult Program), and recently returned to the Ashram with her two children. I first came to the Ashram in the early fall of 1996 to a newly minted Youth Program. I remember walking into Mandala House curious and a bit trepidatious. There was only a small group of us at that time of year. The rest had returned to their studies and jobs at the end of the summer. That afternoon, in my first experience of Karma Yoga it was suggested that we chant instead of speak. I felt something wake up in me then and pay attention – now this was different. It had never occurred to me that you could chant outside of a meditation hall or temple. I couldn’t tell if I liked it or not, but I stayed. I went to satsang and fell in love with the depth and quiet of the Temple. 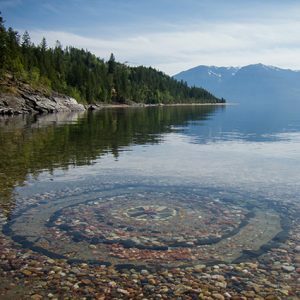 I stayed for two months and even when I left and got a job in Nelson, I would return – for a course, a long weekend or even just Sunday satsang. Each time I would reconnect with the magic of those first weeks and the awe that awoke in me as I learned practical ways of staying present and realized what it truly meant to be mindful day to day. The swamis were amazingly supportive, always trying to find the right balance of yoga, work and teachings for us to digest. There were formal teachings once a week, sometimes even every couple of days. I had been to university. It felt a bit like that but better. This experience allowed me to recognize my own place in the teachings. It encouraged me to look at my inner obstacles in a whole new light. “Because it comes back to you,” I say. But maybe what I mean is, you come back to it. 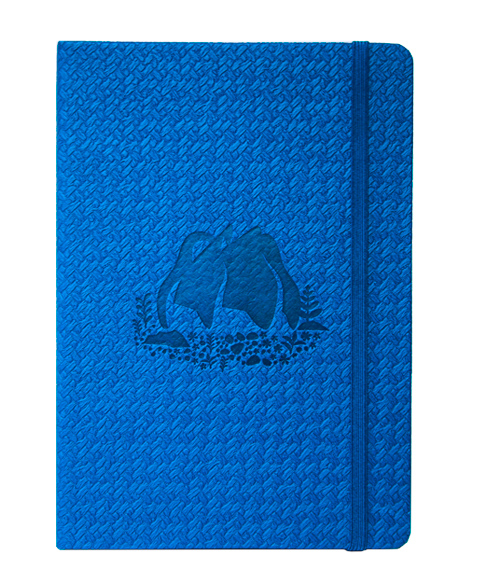 Elegant textured basketweave faux leather hard cover journal with a debossed imprint of the Temple of Light on the front cover, and the ashram logo on the back. Lined, 80 pages. Attached bookmark, elastic strap closure and inside back cover pocket. Make this photo my desktop or iPhone wallpaper. 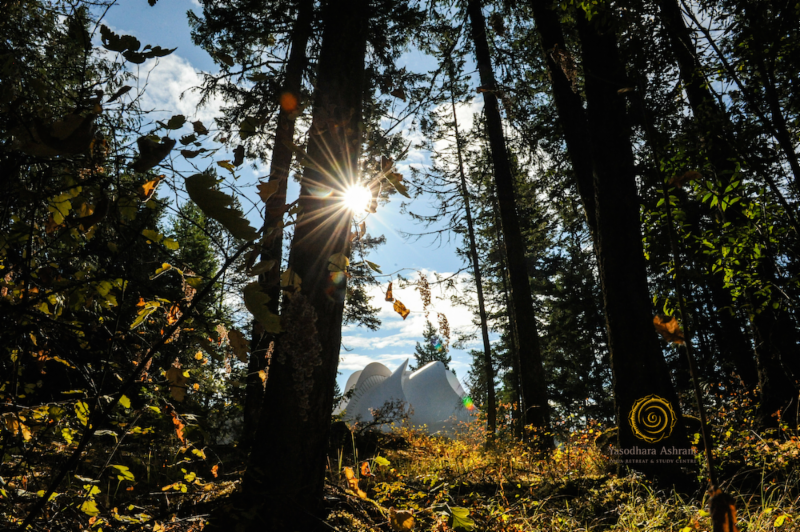 The Latest from Alanda Greene – Read Stone by Stone, from her Lessons from the Garden column in Heartfulness Magazine and her summary of a Blackfoot Science conference she attended this summer. Celebrating a True Teacher – We are honoured to offer the new Temple for the Celebration of Life of Alvin Dunic, who taught at the Crawford Bay School for decades. Alvin was well-loved in the community and taught children connected to the Ashram, as well as helped with our IT functions in the early days. The Celebration will be held on October 14, 2017 at 1:30 pm, with a reception to follow at 3:30 at the Crawford Bay Hall. Interfaith Climate Vigil – On October 22 the Ashram will host an Interfaith Climate Vigil as part of the Nelson EcoSociety’s vigil series. A special satsang in the Temple of Light will be offered for people of all faiths to gather and spread positive intentions for the climate. 2016 Annual Report – The 2016 Annual Report is now available. 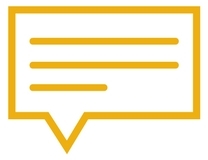 Special thanks to Michael Wou for his in-kind donation of design services. And deep thanks to all members and friends of our Society for your dedication and support. News from Returning Friends – Felicity Green, an Iyengar teacher who considers Swami Radha one of her root teachers, returned to the Ashram for the Temple Celebration Festival. Felicity first met Swami Radha in the early ’70s. “Swami Radha was a very strong teacher and totally ethical within herself. I grew up going to an Anglican school and I always felt like a second class citizen because I was woman. It was only when I came to the Ashram and discovered the Divine Feminine that I felt whole spiritually.” Felicity recently published a book, Who Are You, available now. Kundalini Reflection Questions – The 2017 Kundalini and Dream Teacher Certification group created questions to inform their study of each chakra. Use them in your own practice. 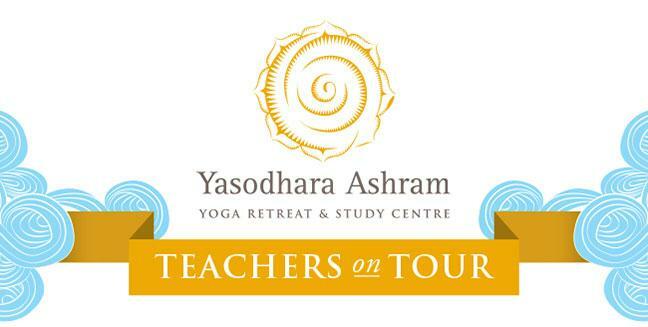 Expand your experience of Yasodhara Yoga and find a teacher near you.